This week, we’re casting our gaze to the future… the dystopian future, that is… as well as at an already-hyped future cinematic release, in Veronica Roth’s Divergent! 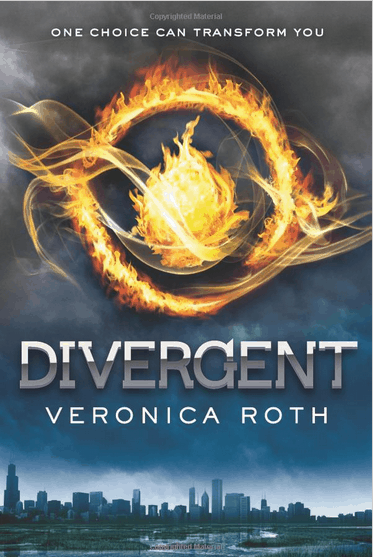 Divergentis a dystopian science fiction novel set in a futuristic Chicago and was written for young adults by Veronica Roth. There, society is divided into five “Factions,” each dedicated to an all-encompassing virtue, guided by what they best believe to combat the evil that grows in society: Abnegation (the selfless), Erudite (the intelligent), Candor (the honest), Amity (the peaceful), and Dauntless (the brave). Upon turning sixteen, all must choose which Faction they will devote their lives to, and when the time comes for Beatrice “Tris” Prior, she leaves behind the Abnegation world in which she grew up, to move into the realm of the Dauntless. Her path is a difficult one, and she soon finds that being brave doesn’t always mean she’s not afraid. And what she’s most afraid of, is for her new family to find out what she truly is… Divergent. Divergent was published in the spring of 2011, and its sequel, Insurgent, was published in 2012. The final installment of the trilogy, Allegiant, is set to be published this October. The Divergent movie is currently in production, and is set to be released in March 2014. Golden Globe nominee Shailene Woodley was cast as Beatrice Prior, while fellow Dauntless member Four – chosen from a pool of many of Hollywood’s hottest gents, including Alex Pettyfer, Lucas Till, and Alexander Ludwig – will be played by Theo James. Erudite leader Jeanine Matthews will be played by Oscar winner Kate Winslet. The costume direction for the film is helmed by Carlo Poggioli, whose work can be seen in the upcoming Romeo and Juliet, starring Hailee Steinfeld and Douglas Booth. His work is most present in period films, appearing in Van Helsing, The Brothers Grimm, The Raven, and Abraham Lincoln: Vampire Hunter. Therefore, it will be interesting to see what he can do with a view of the future, instead of the past. By integrating thematic aspects of key factions of the society presented in Divergent, you, too, can channel the best parts of being a part of Abnegation, Erudite, or Dauntless, into your own look! Product Information: Cardigan – Alloy, Shirt – H&M, Headband – Debenhams, Pants – Old Navy, Watch – Miss Selfridge, Shoes – Zappos. The Abnegation faction carries the virtue of selflessness above all else, eschewing vanity or personal indulgence and choosing to always serve others above themselves. They are placed in high positions of government due to their constant desire to serve others – which ends with them objectively considering the needs of all Factions, beyond just their own. They are, however, challenged by the Erudite. Their typical uniforms are baggy and gray, with women in long robes and pinned-up hair, and they are equipped with a standard gray watch. While promoting the uniform of the Abnegation might be a little weird on a fashion website, we can certainly focus on aspects of their look for inspiration, such as minimalism, boxy tailoring contrasts, as well as, of course, their signature color. A long boyfriend cardigan mirrors Abnegation’s robes, while a simple white tee and clean white sneakers ground the look in basic, comfortable pieces. Grey skinny jeans in a darker shade keep the look from getting too monochromatic, while a futuristic gray watch stands in for the Abnegation standard. While they certainly wouldn’t approve of the flashiness of the crystal headband, it helps represent the effective role the Abnegation plays in politics (taken after the Roman laurels), and it does help keep your hair back, too. Product Information: Dress – Forever 21, Blazer – H&M, Eyeliner – Stila, Necklace – Forever 21, Bangles – Forever 21, Loafers – DSW. The Erudite faction lead their lives based around the virtue of knowledge, which results in the highest regard for scholastics and a constant pursuit of understanding the world around them. Because of this passionate thirst for knowledge, their virtue is easily corruptible, and it often leads to a lust for power. The Erudites’ main color is blue, and they must wear at least one piece in this hue every day. 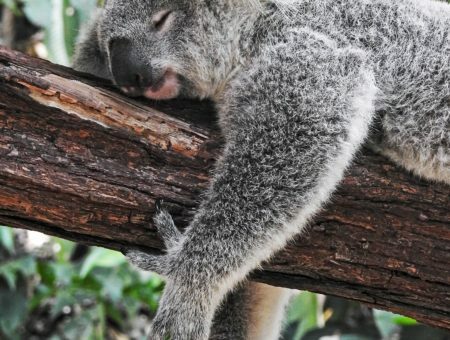 They tend to accessorize with thick glasses, which helps make them appear more intelligent. For an Erudite look that’s perfect for the classroom, keep the look smart with sharp tailoring, stud accents, and, of course, their signature color. This blue dress makes that statement perfectly, and layering on a clean, minimalist white blazer makes a bright impression. This gold icon necklace is a more understated way to wear their standard glasses, while stud accents in the flats and bangles remind you that this faction is far more dangerous than you would suspect. Blue eyeliner draws attention, in just the perfect shade, to the eye, which is the Erudite symbol. 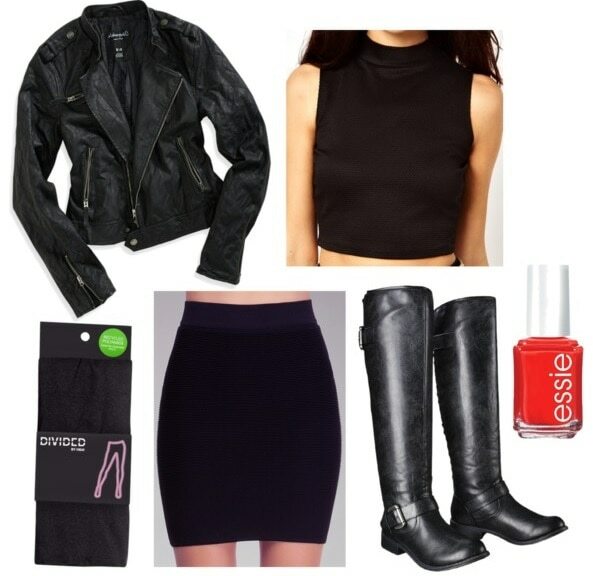 Product Information: Jacket – Aeropostale, Top – Asos, Tights – H&M, Skirt – Bebe, Boots – Target, Nail Polish – Target. The virtue of the Dauntless is bravery, which includes freedom from fear and a passion for fierceness. They are also incredibly competitive – bordering on reckless – and constantly push the boundaries of their abilities in trying to outdo each other and themselves. The Dauntless serve as the security force for all other factions, but they are, essentially, an army. They favor a wardrobe done strictly in black, skintight clothing, and have an affinity for tattoos and piercings. For a look that’s fierce and fearless, adopt the Dauntless look of skin-tight black, but keep it from going too dark with full coverage to balance out all that tightness, and unexpected, trendy pieces. A black jersey pencil skirt is a “college girl” basic by now, but when paired with opaque black leggings and knee-high boots, it is taken out of the party-night rotation. A turtleneck crop top is trendy and fearless, and gets roughed up even more with an edgy leather jacket, while fire engine red nail polish adds a needed pop of color, and alludes to the Dauntless symbol of fire. Have you ever read Divergent, or its sequel, Insurgent? Are you excited for the third title in the series (Allegiant, set to publish this October)? Are you excited for the movie? What did you think of the novel, and the interactions of the Factions? What did you think of the outfits and styling tips? Let me know, in the comments below!